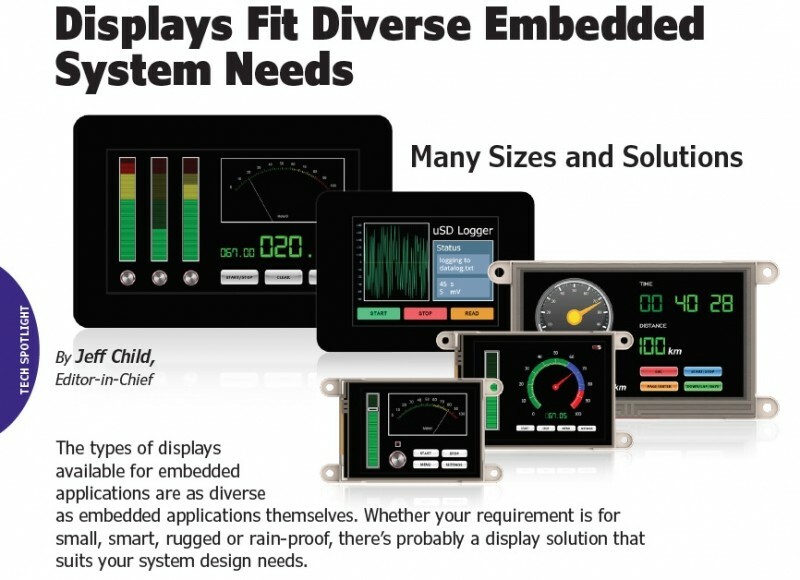 The types of displays available for embedded applications are as diverse as embedded applications themselves. Whether your requirement is for small, smart, rugged or rain-proof, there’s probably a display solution that suits your system design needs. Long gone are the days when the Graphics Processor Unit (GPU) market was filled with many semiconductor vendors jockeying for position. A combination of chip integration: graphics function moving inside microprocessors—and business consolidation: graphics chip vendors getting acquired, has narrowed the technology space down to mostly Intel, AMD and NVIDIA. And while these vendors tailor their products for high-volume markets, embedded applications must adapt those same GPUs to their needs. With that in mind, makers of displays for embedded applications are constantly evolving their products to keep pace with the latest GPU technologies and both new and legacy display interface standards. Technologies range from small e-paper displays to rugged sunlight readable displays for the outdoors to complete Panel PC solutions that embed PC functionality as part of the display. Although this article is focused on displays in embedded systems, it’s helpful to first understand the larger markets that are driving GPU technology. For its part, Jon Peddie Research (JPR), a market research and consulting firm focused on graphics and multimedia saw mobile devices as the dominate market when they did their annual review of GPU developments for 2017. In spite of the slow decline of the PC market overall, PC-based GPU sales (which include workstations) have been increasing, according to the review. In the mobile market, integrated GPUs have risen at the same rate as mobile devices and the SoCs in them. The same is true for the console market where integrated graphics are in every console and they too have increased in sales over the year. Nearly 28% of the world’s population bought a GPU device in 2017, and that’s in addition to the systems already in use. And yet, probably less than half of them even know what the term GPU stands for, or what it does. To them the technology is invisible, and that means it’s working—they don’t have to know about it. The market for, and use of, GPUs stretches from supercomputers and medical devices to gaming machines, mobile devices, automobiles and wearables. Just about everyone in the industrialized world has at least a half-dozen products with a GPU, and technophiles can easily count a dozen or more. The manufacturing of GPUs approaches science fiction with features that will move below 10 nm next year and have a glide-path to 3 nm—and some think even 1 nm. Throughout 2017 JPR saw a few new, and some clever adaptations of GPUs that show the path for future developments and subsequent applications. 2017 was an amazing year for GPU development driven by games, eSports, AI, crypto currency mining and simulations. Autonomous vehicles started to become a reality, as did augmented reality. The over-hyped, consumer-based PC VR market explosion didn’t happen—and had little to no impact on GPU developments or sales. Most of the participants in VR already had a high-end system and the head-mounted display (HMD) was just another display to them. Mobile GPUs, exemplified by products from Qualcomm, ARM and Imagination Technologies, are key to amazing devices with long battery life and screens at or approaching 4K. And in 2017 people started talking about and showing High dynamic range (HDR). JPR’s review says that many, if not all, the developments we will see in 2018 were started as early as 2015, and that three to four-year lead time will continue. Lead times could get longer as semiconductor engineers learn how to deal with chips constructed with billions of transistors manufactured at feature sizes smaller than X-rays. Ironically, buying cycles are also accelerating ensuring strong competition as players try to leap-frog each other in innovation. According to JPR, we’ll see considerable innovation in 2018, with AI being the leading application that will permeate every sector of our lives. The JPR GPU Developments in 2017 Report is free to all subscribers of JPR. Individual copies of the report can be purchased for $100. The Internet of Displays is a range of miniature displays that offer small color displays with integrated Wi-Fi and a microSD/HDC slot. After years of frustration dealing with graphical user interface technologies that go obsolete, Steve decided that web browser technology could help this problem. 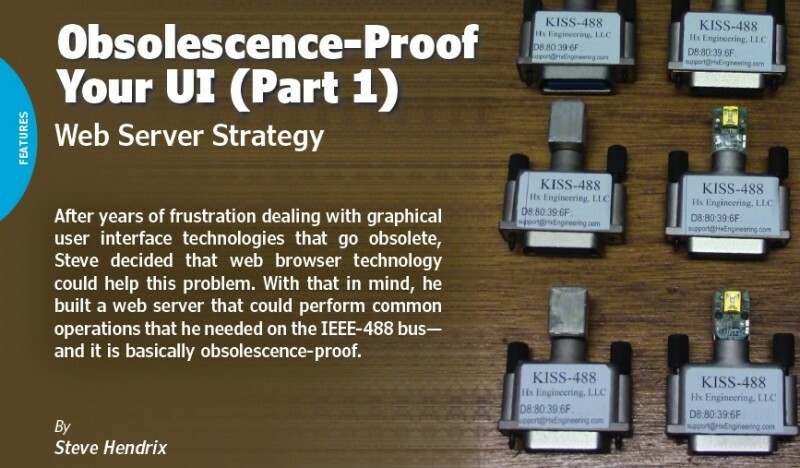 With that in mind, he built a web server that could perform common operations that he needed on the IEEE-488 bus—and it is basically obsolescence-proof. My consulting business is designing custom embedded electronics. 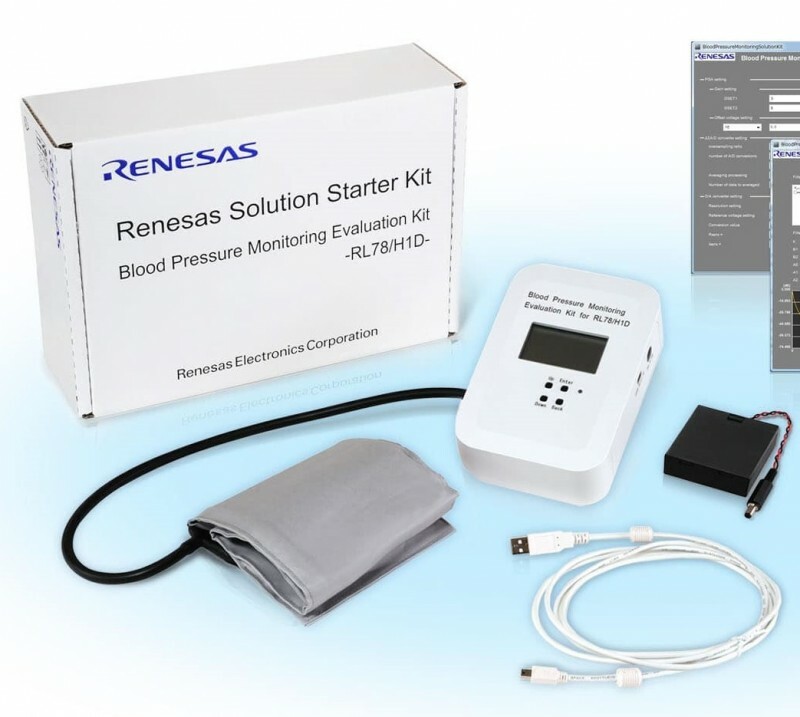 Many such systems are size-constrained, but still need some type of user interface. For portable devices, the battery is usually the biggest point of discussion. For wireless designs, it’s the antenna. But for virtually every design, the user interface figures prominently in the concept discussions. I’ve been involved with one particular design for some 20 years now. When I took it over from the client’s in-house designer, the internal structure was very shaky. Unfortunately, they were not willing to change it due to the re-certification efforts that would be required for a major change. The design’s user interface used a graphic LCD with a touchscreen overlay. I have just completed the latest revision to replace an obsolete part—the latest in a long series of revisions caused by the display panel or the touchscreen going obsolete. This usually happens just about the time the whole product gets through final certification. In this case, we jumped through a lot of hoops to avoid disturbing the core of the product so we wouldn’t require a a big recertification effort. We did so by building a daughterboard that emulates the original touchscreen. A web browser interface would be so much easier! In a similar vein, I recently purchased a spectrum analyzer to replace a failed unit. The only way to get a screen dump into my PC is via the IEEE-488 bus. That standard is sometimes known as GPIB (General Purpose Interface Bus) or HPIB (Hewlett-Packard Interface Bus). Because this bus has mostly fallen out of favor, instruments that use it are inexpensive. The solutions that purport to interface the IEEE-488 bus to a PC are themselves badly dated. In addition to requiring a cable big enough to flip an instrument off the bench, several other pieces are needed. You need to buy a board that goes inside the PC for four figures, and software to run it for well up into four figures, and hope your PC and operating system are old enough to be compatible. Alternatively, numerous USB interfaces are available. All of those interfaces require a custom driver in your PC, and most of those drivers require older versions of Windows. (a) A close-up view of the finished unit, which fits comfortably within a standard IEEE-488 connector backshell. This unit is ready for the final application of the label showing its permanently-assigned MAC address. (b) A peek under the hood, showing the microcontroller, the IEEE-488 bus termination resistor packs, and most of the power supply. The mini-USB connector makes no data connection, but only provides power to the unit. Such power supplies have become such ubiquitous commodity products that they are the most cost-effective way to get 5 V power to the unit.Many years ago, I worked for a company who specialized in IEEE-488 interfaces. Although I’d forgotten some of the nuances that make it such a pain to work with directly, I remembered enough to know that the Microchip PIC18F97J60 microcontroller could directly drive the bus lines for a single instrument. The PIC would need buffering to deal with the full 14 instruments that can be on the bus per the specification, but I just wanted to interface a single instrument. 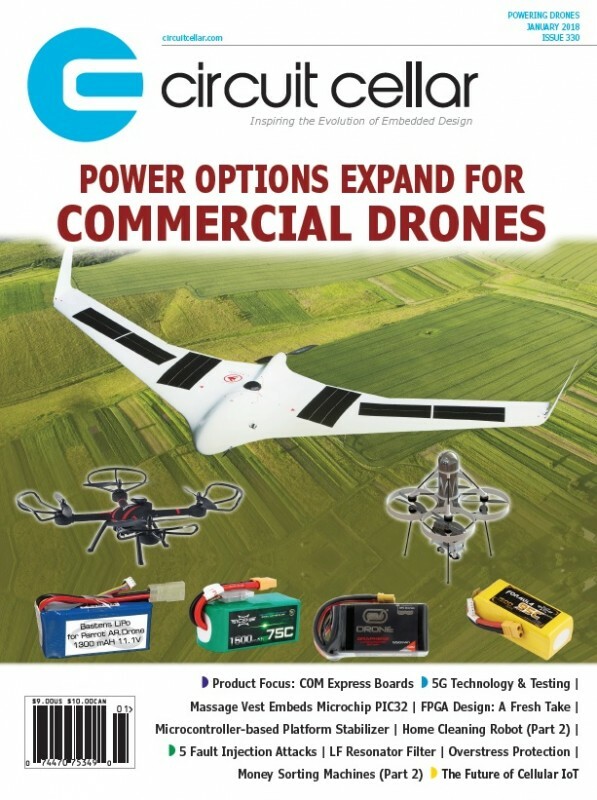 Best of all, I already had experience with building a web server in this chip from my solar power controller discussed in the July 2014 and August 2014 issues (Circuit Cellar 288 and Circuit Cellar 289.) The microcontroller and all required electronics could fit inside the backshell of a standard IEEE-488 connector. The lead article photo (Photo 1) shows the very tidy end result—note the MAC addresses printed on each label. Photo 2 shows a close-up view of the exterior and interior. Author′s Note: I offer a special discount on KISS-488 to Circuit Cellar readers. Contact me at SteveHx@HxEngineering.com for details! interface (UI) design. Phil examines these and other important UI design challenges. The widespread proliferation of portable media devices has changed the way we interact with each other on a daily basis. In fact, there is now a generation of users who grew up with some type of touchscreen device. These users no longer see the UI as new or revolutionary, but rather as a standard piece of mobile device functionality. This phenomenon has created a new set of expectations. It means any device with an LCD must offer a fluid and intuitive user experience. It’s also expected that the touchscreen has to be “smartphone-like” whenever the device is powered on. 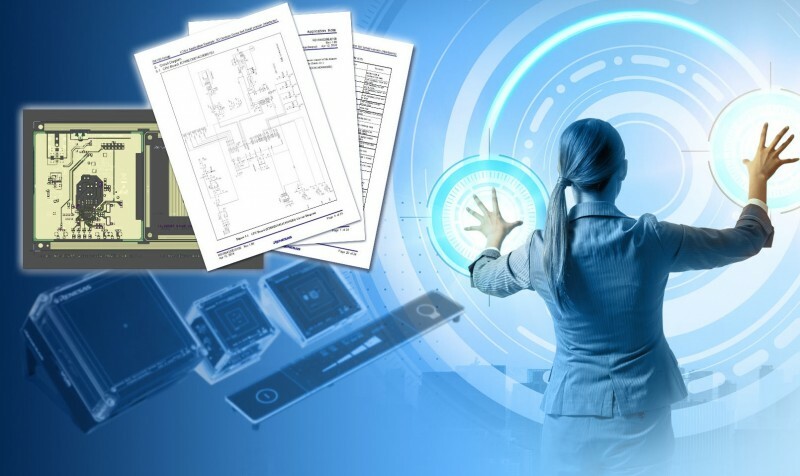 Embedded system developers are now under pressure across multiple markets and device types to replicate the smartphone UI interactive experience. The importance of getting the UI right is absolutely critical to the success of the device. Underpinning documented UI design methodologies is a need for the device to operate in a way that it will not impinge or be detrimental to the user experience. For developers, it’s necessary to understand the types of performance problems a typical end-user might encounter, and through an understanding of performance metrics employ various analyses to highlight the bottlenecks and performance degradation issues. 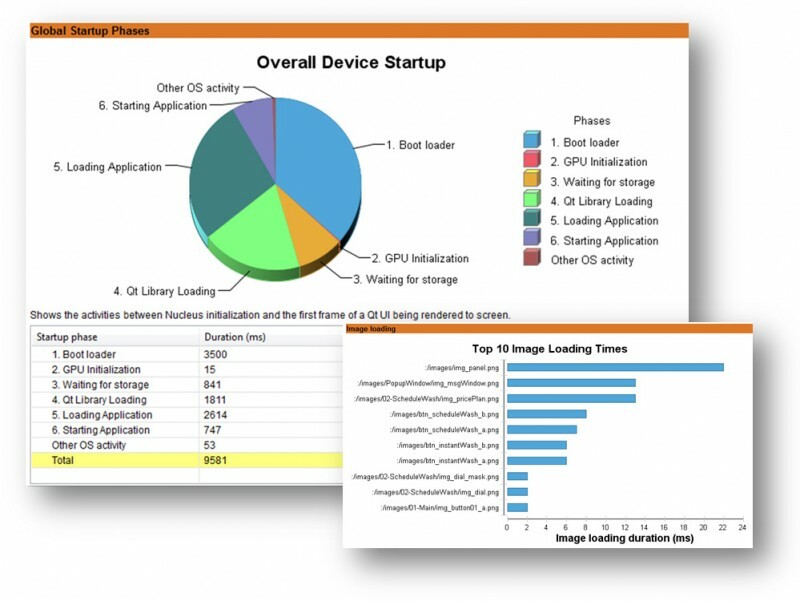 To understand how to best analyze performance, it’s important to look at typical performance issues from the end-user’s perspective. In identifying these issues, developers can begin to identify the first data points or metrics needed for feedback on system performance. Responsiveness: Responsiveness can be thought of as the time it takes for the user to receive feedback from the UI as a result of an input action made. Typically, this consists of a touchscreen input, but also includes hard key presses. Responsiveness is important as the user must feel the device performs within a certain timeframe to avoid the feeling a UI is “laggy” or slow to respond. Delays in updating the UI in response to input can result in frustration and mistakes made by the user. 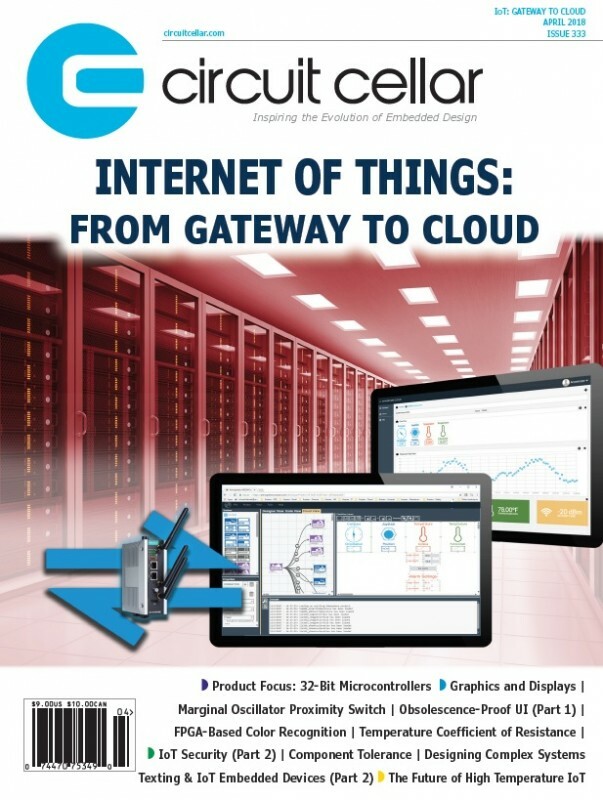 The December issue of Circuit Cellar magazine is coming soon. Want a sneak peak? 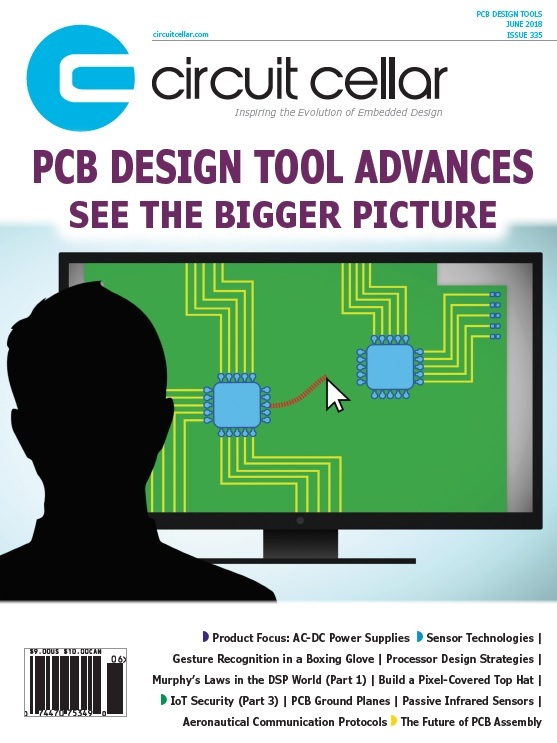 We’ve got a great selection of excellent embedded electronics articles for you. 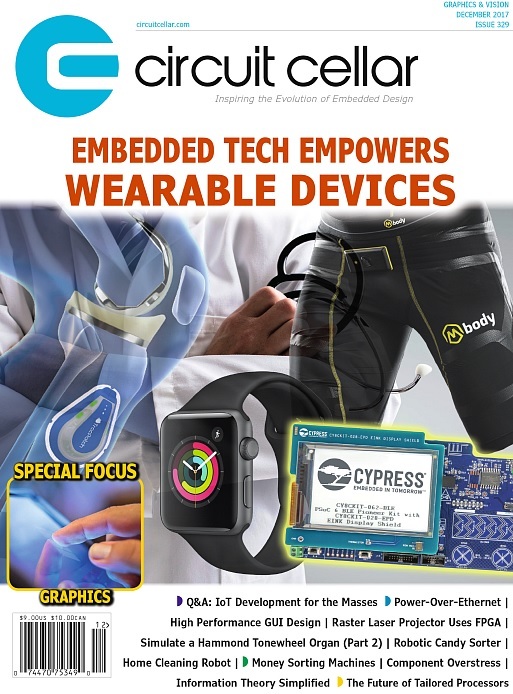 Circuit Cellar Chief Editor Jeff Child examines how today’s microcontrollers, sensors and power electronics enable today’s wearable products. Brian Millier continues this two-part series about simulating the Hammond tonewheel organ using a microcontrollers and DACs. This time he examines a Leslie speaker emulation. In this new article series, Jeff Bachiochi looks the science, mechanics and electronics that are key to sorting everything from coins to paper money. This month he discusses a project that uses microcontroller technology to sort coins. This four-part article series about building a home cleaning robot starts with Nishant Mittal discussing his motivations behind to his design concept, some market analysis and the materials needed. 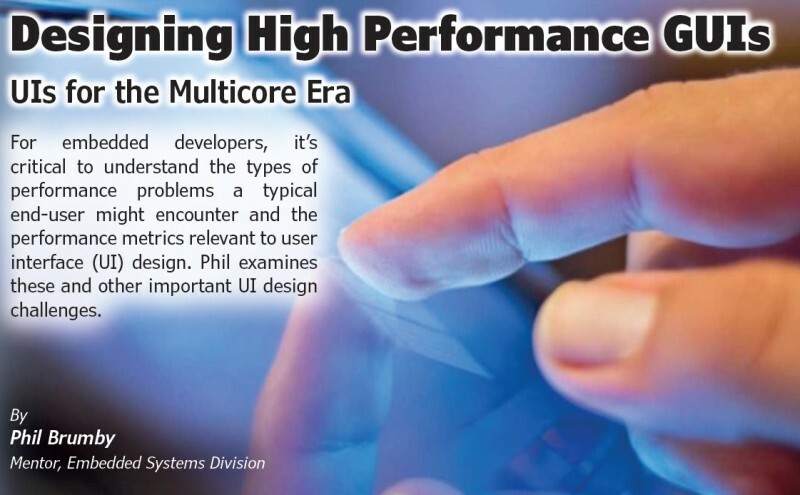 It’s critical to understand the types of performance problems a typical end-user might encounter and the performance metrics relevant to user interface (UI) design. Phil Brumby of Mentor’s Embedded Systems Division examines these and other important UI design challenges. Learn how a pair of Cornell graduates designed and constructed a robotic candy sort. It includes a three degree of freedom robot arm and a vision system using a Microchip PIC32 and Raspberry Pi module. Two Cornell graduates describe a raster laser projector they designed that’s able to project images in 320 x 240 in monochrome red. The laser’s brightness and mirrors positions are controlled by an FPGA and analog circuitry. Power-over-Ethernet (PoE) enables the delivery of electric power alongside data on twisted pair Ethernet cabling. 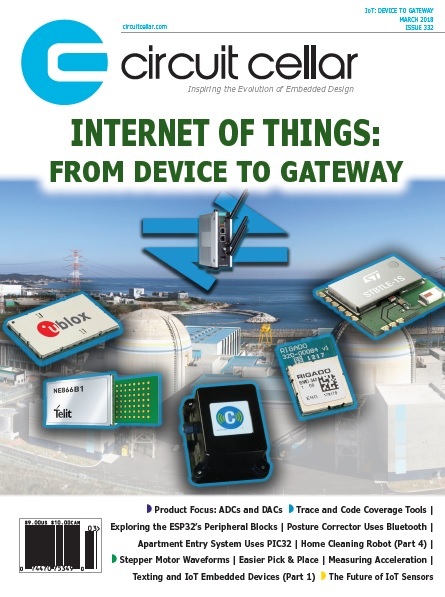 Chief Editor Jeff Child explores the latest chips, modules and other gear for building PoE systems. When an electronic component starts to work improperly, Two likely culprits are electrical overstress (EOS) and electrostatic discharge (ESD). In his article, George Novacek breaks down the important differences between the two and how to avoid their effects. In this conclusion to his “Building an Embedded Systems Consulting Company” article series, Bob Japenga takes a detailed look at how to craft a Statement of Work (SOW) that will lead to success and provide clarity for all stakeholders. Claude Shannon is credited as one of the pioneers of computer science thanks to his work on Information Theory, informing how data flows in electronic systems. In this article, Robert Lacoste provides a useful exploration of Information Theory in an easily digestible way. 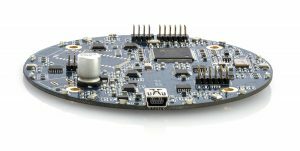 The new miniDSP UMA-8 is a high-performance yet low-cost multichannel USB microphone array built around XMOS multicore technology, designed for voice-recognition application development. Seven high-performance MEMS microphones are configured in a circular arrangement to provide high-quality voice capture for a wide range of applications. Leveraging the onboard DSP processing, the UMA-8 supports voice algorithms including beamforming, noise reduction, acoustic echo cancellation, and de-reverb. 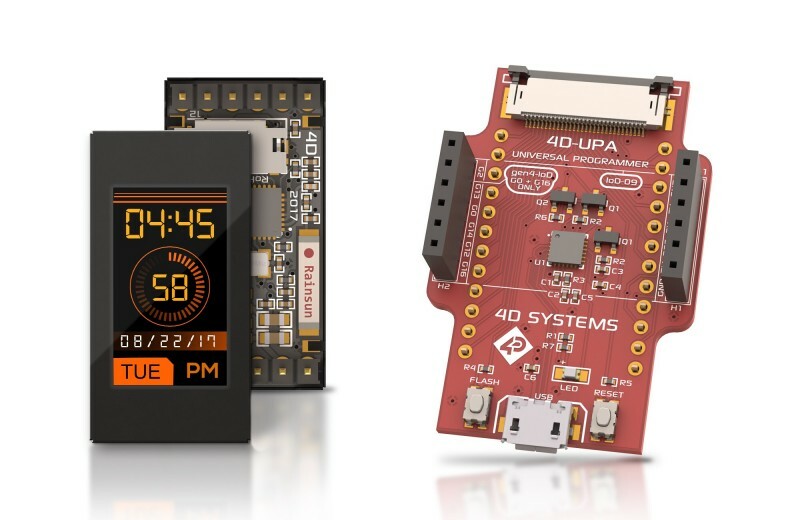 Developed with applications in voice-activated control, smart assistants, robotics, conferencing, and more in mind, the UMA-8 pocket-size platform targets both DIYers and the OEM market, and was engineered for flexibility in firmware, software and hardware. For advanced users, full control and configuration of the DSP array processing parameters are available with a real-time GUI. This can be used to fine tune the various algorithms: acoustic echo cancellation, noise reduction, voice activation detect, and so on, dramatically improving voice pickup. The UMA-8 costs $95. Step-by-step application notes are available for setup and configuration of the UMA-8 with the most common smart assistants currently available, including Amazon Alexa Voice + Raspberry Pi, Microsoft Cortana, and Apple Siri. miniDSP will be expanding those application notes in the future.